Well-chosen scrapbooking toppers can make an impressive introduction to your scrapbook pages. It’s not unusual to see the clipart and fonts combined to make fanciful page toppers, are enough to quality as mini art pieces themselves. Page toppers are as the name implied, decorated page titles that top the scrapbook pages. They also do double-duty as a page accent. I’ve realized that page toppers and page titles are often lumped together on many sites. It appears that these two are used interchangeably. To identify one from the other, it might of some help if you see page titles as merely descriptive headlines. On the other hand, page toppers are page titles dressed up with more creativity in term of artwork, in addition to an attention-grabbing headline. Meaning? More fireworks are found in the toppers. Because that’s the conclusions I’ve arrived at after hunting high and low for the difference between page toppers and page titles and found none. So please, if you know of the correct definitions, I’m hoping for you to point me in right path and I’ll amend this page accordingly. 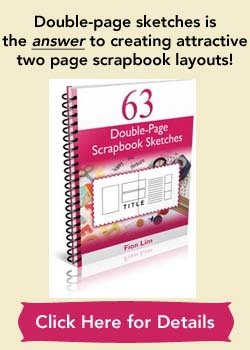 For now, if you’re seeking for authentic page titles, visit scrapbooking titles. Just note that for some of the resources listed there, though the sites labeled theirs as page toppers, they are in essence… page titles. And if you’re looking for bona fide scrapbooking page toppers, I’m sorry to say that I didn’t have much luck in digging toppers as of 2009. Those websites that I used to list with toppers have all gone and so I removed them from this page too. So if you can unlock some secret sites with treasures of pretty page toppers, would you be kind enough to share some with me so that others can benefit as well? Meantime, another option would be to go to scrapbooking titles, shortlist a few of your favorite titles. Then get creative experimenting with various interesting fonts and colors to dress up the titles. You have the choice to transform these titles into your very own page toppers. 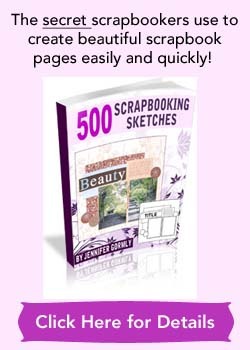 For a really big collection of scrapbooking titles, phrases, quotes and sayings, please click here. Happy scrapping with page toppers!